"Commercial break" redirects here. For the 1997 black comedy film, see Commercial Break. To accomplish the first step means different things in different parts of the world depending on the regulation in place. In the UK for example, clearance must be given by the body Clearcast. Another example is Venezuela where clearance is governed by a body called CNAC. The clearance provides guarantee to the broadcasters that the content of the advertisement meets legal guidelines. Because of this, special extended clearance is sometimes applies to food and medical products as well as gambling advertisements. It is important to choose a television production company and advertising agency with pertinent expertise in these two areas, and it is preferable to choose an agency that both produces advertisements and places air time, because expertise in broadcast quality production and broadcast standards is vital to gaining the advertisement's acceptance by the networks. After the advent of cheap video software and consumer cameras, numerous individuals have offered video production services on the internet. Video production companies that do not regularly place TV advertisements on the air often have their productions rejected by networks for technical or content issues, due to their inexperience with creating broadcast-ready content. Animation is often used in advertisements. The pictures can vary from hand-drawn traditional animation to computer animation. By using animated characters, an advertisement may have a certain appeal that is difficult to achieve with actors or mere product displays. Animation also protects the advertisement from changes in fashion that would date it. For this reason, an animated advertisement (or a series of such advertisements) can be very long-running, several decades in many instances. Notable examples are the series of advertisements for Kellogg's cereals, starring Snap, Crackle and Pop and also Tony the Tiger. The animation is often combined with real actors. Animated advertisements can achieve lasting popularity. In any popular vote for the most memorable television advertisements in the UK (such as on ITV or Channel 4) the top positions in the list invariably include animations, such as the classic Smash and Creature Comforts advertisements. In the United States, the Nielsen ratings system measures audience viewership of television programs, and provides a way for television broadcasters to determine how popular their television shows are, so that they can decide what rates to charge advertisers for air time. For each hour in a broadcast day, advertisements take up a fairly consistent proportion of the time. Commercial breaks have become longer. In the 1960s a typical hour-long American show would run for 51 minutes excluding advertisements. Today, a similar program would only be 42 minutes long; a typical 30-minute block of time now includes 22 minutes of programming and eight minutes of advertisements - six minutes for national advertising and two minutes for local. A television broadcast of the 101-minute film The Wizard of Oz (1939) for instance, could, in the early to mid-1960s, take two hours even with advertisements. Today, a telecast of the same film would last approximately two hours and 15 minutes including advertisements. Because of this, it is common practice to edit films to fit within the time allotted. Over the course of 10 hours, American viewers will be shown approximately three hours of advertisements, twice what they would have seen in the 1960s. If a 1960s show is rerun today, the content may be edited by nine minutes to make room for the extra advertisements. In the 1950s and 1960s, the average advertisement's length was one minute. As the years passed, the average length shrank to 30 seconds (and sometimes 10 seconds), but more advertisements are now shown during the break. TV advertisements were coded for identification by broadcasters via an ISCI code. As of March 31, 2014, Ad-ID has been mandated as the standard method of identification for TV advertisements. A special case of TV advertisements are rare or one time events known as Mega Event Advertising. In the United States, the TV advertisement is generally considered the most effective mass-market advertising format, and this is reflected by the high prices TV networks charge for commercial broadcasting airtime during popular TV events. The annual Super Bowl American football game is known as much for its commercial advertisements as for the game itself, and the average cost of a single 30-second TV spot during this game (seen by 100 million viewers) has reached US$4.5 million (as of February 2013). It has been suggested that, in general, television executives believe that advertisers covet the 18-49 age demographic and that older viewers are of almost no interest to most advertisers due to their unwillingness to change their buying habits. Products intended for older consumers, such as certain health products and insurance, are advertised regularly on television, generally during programming that appeals to older adults. The number of viewers within the target demographic is more important to ad revenues than total viewers. According to Advertising Age, during the 2007-08 season, Grey's Anatomy was able to charge $419,000 per advertisement, compared to only $248,000 for an advertisement during CSI, despite CSI having almost five million more viewers on average. Due to its demographic strength, Friends was able to charge almost three times as much for an advertisement as Murder, She Wrote, even though the two series had similar total viewer numbers during the seasons they were on the air together. Broadcast networks are concerned by the increasing use of DVRs by young viewers, resulting in aging of the live viewing audience and consequently, lower advertising rates. TV advertisers may also target certain audiences of the population such as certain races, and people of a certain income level or gender. In recent years, shows that tend to target young women tend to be more profitable for advertisements than shows targeted to younger men. This is due to the fact that younger men are watching TV less than their female counterparts. In the United Kingdom, television advertising is considerably cheaper than in the United States of America. The current record for an advertising slot on British terrestrial television is quoted at being £250,000 for a 30-second slot during the 2010 series of Britain's Got Talent. However while British TV advertising is cheaper, this is only to be expected as the United Kingdom has a much lower population (63 million) compared to the US (310 million). So if the £250,000 figure is adjusted into American terms, the population being 5 times bigger and the exchange rate, this figure would become $2 million, much closer to the US Super Bowl figure. Because a single television advertisement can be broadcast repeatedly over the course of weeks, months, and even years (the Tootsie Roll company has been broadcasting a famous advertisement that asks "How many licks does it take to get to the tootsie center of a Tootsie Pop?" for over three decades), television advertisement production studios often spend very large sums of money in the production of a single thirty-second television spot. This significant expenditure has resulted in a number of high-quality advertisements with high production values, the latest in special effects technology, the most popular personalities, and the best music. A number of television advertisements are so elaborately produced that they can be considered miniature thirty-second movies; indeed, many film directors have directed television advertisements both as a way to gain exposure and to earn a paycheck. One of film director Ridley Scott's most famous cinematic moments was a television advertisement he directed for the Apple Macintosh computer, that was broadcast in 1984. Although this advertisement was broadcast only once (aside from occasional appearances in television advertisement compilation specials and one 1 a.m. airing a month before the Super Bowl so that the advertisement could be submitted to award ceremonies for that year), it has become famous and well-known, to the point where it is considered a classic television moment. Despite the popularity of some advertisements, many consider them to be an annoyance for a number of reasons. The main reason may be that the sound volume of advertisements tends to be higher (and in some cases much higher) than that of regular programming. The United States Congress passed a bill on September 30, 2010, called the CALM Act, to reduce the sound volume of advertisements, and loudness rules set by the FCC are effective as of December 13, 2012. In the UK, the Broadcast Committee of Advertising Practice has a similar regulation. The increasing number of advertisements, as well as overplaying of the same advertisement, are secondary annoyance factors. A third might be that television is currently the main medium to advertise, prompting advertising campaigns by everyone from cell-phone companies, political campaigns, fast food restaurants, to local businesses, and small businesses, prompting longer commercial breaks. Another reason is that advertisements often cut into certain parts in the regular programming that are either climaxes of the plot or a major turning point in the show, which many people find exciting or entertaining to watch. From a cognitive standpoint, the core reason people find advertisements annoying is that the advertisement's offer is not of interest at that moment, or the presentation is unclear. A typical viewer has seen enough advertisements to anticipate that most advertisements will be bothersome, prompting the viewer to be selective in their viewing. Conversely, if an advertisement concerns a topic important to the viewer (such as an advertisement for debt relief shown to a viewer who has received a late notice in the mail), or has entertainment value beyond the basic message (such as the classic humorous spots for Wendy's "Where's the beef?" campaign), then viewers tend to stay with the advertisement, perhaps even looking forward to viewing it again. Beginning on January 2, 1971, advertisements featuring cigarettes were banned from American TV. Advertisements for alcohol products are allowed, but the consumption of any alcohol product is not allowed in a television advertisement (for example, an actor in a beer commercial cannot be shown actually drinking the beer). The Federal Trade Commission and the Federal Communications Commission have laid out regulations for television advertising, outlining restrictions on certain products, content, and claims, in addition to mandating minimum technical standards. Additional content standards are set by individual television broadcast entities to accommodate local laws, community standards, and their particular audience demographic; these broadcast outlets examine each incoming advertisement through a process known as "clearance." 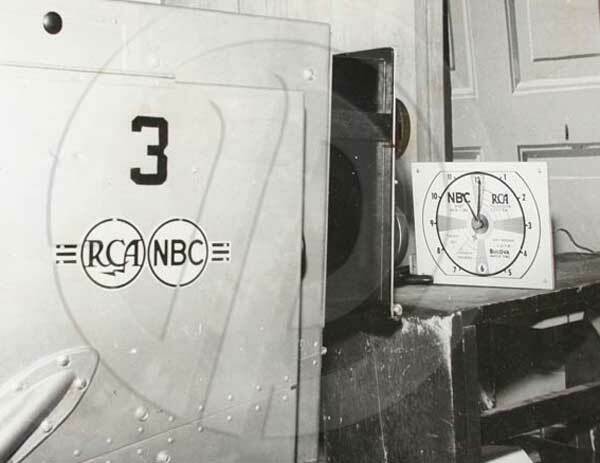 Since the 1960s, media critics have claimed that the boundaries between "programming" and "advertisements" have been eroded to the point where the line is blurred nearly as much as it was during the beginnings of the medium, when almost all individual television shows were sponsored entirely by a single corporation (the model which was carried over from old-time network radio). For much of the 1970s, 1980s, and 1990s, the FCC imposed a rule requiring networks that broadcast programming on Saturday morning and Sunday nights at 7 PM/6 PM Central to air bumpers ("We'll return after these messages...", "...now back to our programming" and variations thereof) to help younger audiences distinguish programs from advertisements. The only programs that were exempt from this rule were news shows and information shows relating to news (such as 60 Minutes). Conditions on children's programming have relaxed to an extent since the period of the 1970s and 1980s. In many European countries television advertisements appear in longer, but less frequent advertising breaks. For example, instead of 3 minutes every 8 minutes, there might be around 6 minutes every half hour. European Union legislation limits the time taken by commercial breaks to 12 minutes per hour (20%), with a minimum segment length of 20 or 30 minutes, depending on the program content. Live imported telecasts with shorter segments, such as U.S. sporting events, replace the original ads with promotional material. Advertising broadcast time can vary within the EU and other countries and between networks depending on local policy. Unlike in the United States, in Europe the advertising agency name may appear at the beginning or at the end of the advert. In the UK, the BBC is funded by a licence fee and does not screen adverts. On the commercial channels, the amount of airtime allowed by the UK broadcasting regulator Ofcom for advertising is an overall average of 7 minutes per hour, with limits of 12 minutes for any particular clock hour (8 minutes per hour between 6pm and 11pm). With 42-minute American exports to Britain, such as Lost, being given a one-hour slot, nearly one third of the slot is taken up by adverts or trailers for other programs. Live imported television programs such as WWE Raw show promotional material in place of U.S. advert breaks. Infomercials (known as "admags") were originally a feature of the regional commercial ITV stations from launch in 1955 but were banned in 1963. The first advert to be shown in the UK was an advert for S.R. Toothpaste on September 22, 1955 on the ITV network (its first day). On 1 July 2000, TV broadcasters began requiring commercials to be delivered to them in widescreen, an event referred to as C-Day in industry promotion of the change. In 2008, Ofcom announced a review of television advertising and teleshopping regulations, with a view to possibly changing their code, Rules on the Amount and Distribution of Advertising (RADA), which regulates the duration, frequency and restriction of adverts on television. Television advertising specialist, Nick Illston, of advertising-buying agency Pace Media, states that ITV's £250,000 asking price for a 30-second slot during the 2010 series of Britain's Got Talent is currently the most expensive advertising slot on television. As in Britain, in Germany, public television stations own a major share of the market. Their programming is funded by a licence fee as well as advertisements on specific hours of the day (20 minutes per day; not after 8 p.m.), except on Sundays and holidays. Private stations are allowed to show up to 12 minutes of advertisements per hour with a minimum of 20 minutes of programming in between interruptions. In Greece, where most television stations and channels do not remove their logo before a commercial break, it is mandatory for public and commercial TV stations to separate the advertisements from the rest of the program with each station's ident. Subliminal advertising, tobacco and medication advertisements are not allowed. Most programs (series, documentaries, etc.) can have one commercial break every 20 minutes. Advertisements must not exceed the 15% of the broadcasting day or 20% if there are direct advertisements for buying or renting products (like informercials). A commercial break must not exceed the length of 4 minutes with the exceptions of movies/telefilms with the length exceeding the 45 minutes, which can have one commercial break for 9 minutes and of the movies/telefilms that exceed the length of 110 minutes which can have more than one commercial break every 45 minutes for 9 minutes. The Conseil supérieur de l'audiovisuel allows up to 9 minutes of advertising per hour on average in a day. Private channels can only broadcast one commercial break if the show is less than an hour and two commercial breaks if the show is more than an hour. For public channels, advertising is forbidden after 8 p.m. In Ireland, the Broadcasting Authority of Ireland determines the number of adverts on commercial and community TV stations, while the Minister for Communications, Energy and Natural Resources is responsible for the advertising limits of Public Service Broadcasters on TV and Radio, while commercial radio advertising is governed through statue. Up to 2010 commercial broadcasters where permitted a maximum of 15% advertising time vs. overall broadcast time. In 2010 TV3 asked for an increase in advertising minutes due to the high level of competition from advertising opt-outs coming into Ireland via satellite and cable pay providers and also the number of live ITV programmes carried by TV3 (such as The X Factor). The BAI agreed to increasing the number of ads on commercial TV broadcasts bring Irish commercial TV channels in line with UK commercial TV channels,. The Independent Broadcasters of Ireland also lobbied for a similar increase but the regulator was unable to increase their advertising minutes as these are written into Statue, meaning it is the responsibility of the member of the national parliament (The House of the Oireachtas). Commercial Broadcasters may not exceed 18% of their broadcast day on advertising and they may only have a maximum of 12 minutes of adverts per hour, except for children's programming where advertising may not exceed 10 minutes per hour. (Commercial TV broadcasters include TV3 and Setanta). Irish community TV channels rarely show advertising, however they are permitted to show 6 minutes of advertising per hour. RTÉ TV and Radio carry a maximum of 9 minutes per hour of advertising but only an average of 6 minutes of advertising per hour, these same rules apply to TG4. This amounts to 10% of total broadcast time. On television RTÉ cannot carry advertising on RTÉ News Now and RTÉjr, they do not carry advertising on programming for the under 6s, RnaG and their Digital Radio services. In Finland, there are two mainstream non-commercial channels run by the state owned broadcasting company Yle, that run advertisements only on very infrequent occasions, such as important sport events. The three main commercial channels MTV3, Sub (a subsidiary of MTV3), and Nelonen, all run their advertisements during breaks approximately every 15 minutes. Since digital TV has been introduced, the number of TV channels has grown, with Yle and the main broadcasters all adding new channels (including some subscription channels). Analogue broadcasts ceased in August 2007 and the nation's TV services are now exclusively digital. A typical break lasts about 4 minutes. The length of individual advertisements can vary from a few seconds (7, 10 and 15 are common), and they are currently rarely over one minute in length. Many advertisements of supranational companies are commonly dubbed from English language advertisements. Although Swedish is the other official language of Finland, the advertisements do not feature Swedish subtitles nor are any Swedish language advertisements shown with the infrequent exception of some political advertisements at the time of elections. The Russian advertising break consists of 2 parts: federal adverts and regional adverts. The duration for each is 4 minutes and 15 minutes per hour respectively. Like Greece, Russia is one of the few countries where the television channel's logo is retained during the commercial break. In Russia, tobacco advertising is prohibited, and in 2013, this was followed suit by alcohol and medication advertising. The Danish DR-channels are funded by a television licence, so they do not show any advertisements. The other Danish television network, TV2 shows advertisements only in blocks between the programs. These can take from 2 minutes to 10 minutes depending on the time to the next show. In Denmark, commercial breaks are strictly prohibited and advertising targeted to children is restricted. Channels like Kanal 5 and TV3 are allowed to interrupt programs, as these channels are being broadcast via satellite from the United Kingdom. Television advertising is regulated by the Broadcasting Act. Public service broadcaster NRK is licence funded, and can not carry advertising, however sponsorship of programs is allowed. Commercial channels may interrupt television program with ads, but certain conditions apply. The maximum amount of advertising is 20% per hour (12 min). The nation's second-most watched channel - TV2 - is funded by television advertisements. Norwegian-language programs broadcast from abroad - such as TV3 Norway broadcasting from London in the Norwegian language - must comply to British regulation. Political TV advertisements are strictly prohibited. TV advertisements are monitored by the Norwegian Media Authority (Medietilsynet). In Croatia, the commercial broadcasters may show up to 12 minutes of advertising per hour, while the public broadcaster HRT, being partially funded by a license fee, shows less advertising and usually does not interrupt series and films. Tobacco advertising is banned but alcohol and non-prescription medications can be advertised on TV. Political advertisements are allowed only in the short official campaign period before an election and only in separate blocks from other advertisements. In India, the Code for Self-Regulation of Advertising in India, established by the Advertising Standards Council of India (ASCI), is applicable on Television Commercials (TVCs). If consumers see an advertisement which they consider misleading or offensive, they can write to ASCI. In Malaysia, a government department monitors television advertisements rather than a private institution. Almost all television stations and channels in the country, whether government-owned, private or pay television channels, broadcast advertisements, with television channel logos removed before the start of the commercial break. There are usually two commercial breaks in a half-hour program and three commercial breaks in an hour-long program, with the exception of news programs. Terrestrial television can only broadcast advertisements during the program that was currently aired except before announcing the breaking of fast in the month of Ramadan. In 1999, Malaysian television stations broadcast around 15 minutes of television advertisements per hour. Now it has increased to around 20 minutes with 10 - 15 advertisement per commercial break. Because Malaysian television advertisements were controlled by the government department, the Malaysian TV advertising permit number appears during the first few seconds of any advertisement. The abbreviation at the first part of the permit number which refers to the ministry which handles the TV advertising permit number always changes sometime after the Malaysian government made a new portfolio of ministers and name changes to some ministries after the general election. The usage of advertising code began in 1995, with KP/YYYY/XXXX of which KP means Ministry of Information, YYYY is the year the advertisement produced and the XXXX is the number of the advert permit. This was replaced by KPKK (Ministry of Information, Communications and Culture) and KKMM (Ministry of Communications and Multimedia of Malaysia) in 2009 and 2013, respectively. The advertising code used on channels other than RTM may or may not be used. Other advertising permits includes the KKLIU (Ministry of Health, the Medicine Advertising Authority) for medicinal advertisements, which was used before 1995 and the JIRP (Pesticide Advertising Department) for pesticide advertisements. All pesticide advertisements must show the word "INI ADALAH IKLAN RACUN PEROSAK" (This is a pesticide advertisement) and JIRP advertising code at the beginning of the advertisement and the words "BACALAH LABEL KELUARAN SEBELUM MENGGUNAKANNYA" (Read the label before use) at the end of the advertisement. It was also used in advertisements on newspapers and magazines. Astro is also known to delay incoming satellite feeds by two to five minutes from the actual time of the start and the end of program (for example a program aired at 1:30 pm will be started at 1:33 pm) with broadcasting advertisements during in-between programs for its purpose of commercial replacement, as government laws forbid advertisements produced from overseas, except those recognizing Malaysia's brands, such as Sony, Panasonic, Nokia and LG, as well as produced from within the country itself. Liquor advertisements shown after 10:00 pm during non-Malay programs have been banned in the country since 2007, while cigarette advertisements have been banned from showing cigarette packaging since 2007, and have been banned entirely since 2015. Fast-food advertisements during children's programs were also banned in 2010. There are also restrictions on Malaysian television advertisements such as advertisements for 18-rated films, women's care products and unhealthy foods not being allowed to be broadcast during children's programs, and lottery advertising, which is prohibited during Malay programs. Lingerie advertisements are prohibited in Malaysian television, but allowed in non-Malay magazines published in Malaysia. Philippines advertising industry is self-regulated. The Philippine advertising industry adopted an Advertising Code of Ethics essentially to promote efficiency in processing applications and resolution cases and avoid costly litigation in regular courts. The earliest Advertising Code of Ethics dates back to the Philippine Board of Advertising (PBA) established in 1974. In 1989, the PBA was renamed Advertising Board of the Philippines (ADBOARD) and was mandated by the Implementing Rules and Regulations of R.A. 7394 or The Consumer Protection Act to ensure that all advertising materials conform to its Code of Ethics. The ADBOARD Advertising Content & Regulations Committee (ACRC) had been the main implementing arm of advertising self-regulation in the Philippines until March 31, 2008 when the Ad Standards Council (ASC) took over this function. The Association of Broadcasters of the Philippines, a self-regulatory organization representing most television and radio broadcasters in the country, limit advertising to 18 minutes per hour, a move taken to help "promote public interest." In this case some TV broadcasters have to remove TV logos (like ABS-CBN, TV5 & GMA) before starting a commercial break. Also, all commercial content and advertisements will start (right after for most TV shows will break) before or after TV program announcements/etc. Some TV commercials to be aired requires ASC clearance if the content has trivial facts and testimonies. Since television was introduced to the Philippines in 1953, they used imported TV advertisements until 1960, the same way in which they used billboard advertisements during the American period. In the 1960, P&G paved their way to start the first local TV Ad. In 1966, when the Philippine TV turned from black-and-white to color, Colgate-Palmolive was the first to advertise in color. Some ads have the following notice indicated at the during or at the end of the commercial depending on type of products. "Drink Moderately/Responsibly." for alcoholic beverages. "If symptoms persists. Consult your ___________". for over-the-counter medicines. "Breastmilk is the best for babies up to 2 years of age and beyond." for infant formulas. "Per DTI-FTEB SPD, DOH-FDA CDRR/CFRR Permit Number _____, Series of (year)" for promos. Similar to the European Union, advertising on Australian commercial television is restricted to a certain amount in a 24-hour period, but there are no restrictions on how much advertising may appear in any particular hour. Australian television has one of the highest proportions of advertising content in the world. In primetime there can be 18 minutes or more of advertising (inc. news updates) per hour. Furthermore, product advertisements with informational content are labeled "public service announcements" and not included in the time restrictions; similarly with "this program brought to you by..." announcements, and station identifications. Consequently, there may be less than 40 minutes of actual program time per hour. Foreign, older television programs and movies are noticeably cut; comedy shows often return from an ad break into laughter, for instance. Australia is also one of the few countries in the world where advertisements may appear prior to, and over the top of, the closing credits of a program. There are some restrictions on television advertising in Australia, such as a complete ban on advertising for cigarettes, as well as advertising during programs intended for young children. The ABC, the nation's public broadcaster, broadcasts no external advertisements, but between programs will broadcast promotions for its own programs and merchandise, although is restricted to approximately five minutes per hour. SBS had similar restrictions on advertising until 2005 when it began airing external advertisements between programs, and later, during programs, as per the commercial networks, although still limited to 5 minutes per hour with the first advertisement being half-hourly news updates. Back in 1978, major commercial networks has the longest ever ad break run with the record 53 minutes of advertising. All major New Zealand television channels, both state-owned and private, screen advertisements. Adverts on average taking up 15 minutes of each hour; there are usually two advert breaks in a half-hour program, and four advert breaks in an hour-long program. Television advertising began in New Zealand in April 1961, ten months after the first official television broadcast, and was initially allowed only on Tuesdays, Thursdays and Saturdays. Today, television adverts are only prohibited on Wednesdays, Fridays Mondays and on Sunday mornings before midday The Advertising Standards Authority is responsible for advertisement compliance, and deals with advertisement complaints (except for election advertising, in which the Broadcasting Standards Authority is responsible). From April 2016 commercial break Televisions will switch to apps for mobile and tablets the new commercial Break app will launch in April 2016 get it from app store or google play from April 2016. Under the current rules, terrestrial channels cannot take in-program commercial breaks. So, the advertisements are usually put between the intro and the start of a program, and between the end credits and the end of the program. Terrestrial channels often divide some longer-length films like The Ten Commandments into parts and consider each part as an individual program. Terrestrial channels can take commercial breaks during breaks in action during sporting events. Pay-television channels can take in-program commercial breaks, although some pay TV channels schedule advertisements in the same way that terrestrial channels do. Regulations for advertisements on terrestrial channels are more strict than those for pay channels. Non-South Korean channels are not subject to these regulations. Tobacco advertisements are prohibited. Depending on its style, system and other factors while in the process of broadcasting commercial breaks and TV advertisements, some officials (like government, associations, institutions, etc.) regulate and monitor the assets and broadcasting TV advertisements based on international standards. Since late 2010, all Argentine television channels (including cable channels operated from the country itself), are required to separate advertising from the rest of the programming using bumpers with the text "Espacio publicitario" ("Advertising space"). Commercial advertising is limited to 12 minutes per hour. In-program advertising is allowed, but counted toward the 12-minute quota. That means that if a 60-minute show has 2 minutes of in-program advertising, the commercial breaks have to be limited to 10 minutes for that specific hour, otherwise the station might face a fine. Prior to the 1970s, music in television advertisements was generally limited to jingles and incidental music; on some occasions lyrics to a popular song would be changed to create a theme song or a jingle for a particular product. An example of this is found on the recent popular Gocompare.com advert that utilises "Over There", the 1917 song popular with United States soldiers in both world wars and written by George M. Cohan during World War I. In 1971 the converse occurred when a song written for a Coca-Cola advertisement was re-recorded as the pop single "I'd Like to Teach the World to Sing" by the New Seekers, and became a hit. Additionally songwriter Paul Williams composed a piece for a Crocker Bank commercial which he lengthened and The Carpenters recorded as "We've Only Just Begun". Some pop and rock songs were re-recorded by cover bands for use in advertisements, but the cost of licensing original recordings for this purpose remained prohibitive in certain countries (including the U.S.) until the late 1980s. In early instances, songs were often used over the objections of the original artists, who had lost control of their music publishing, the music of Beatles being perhaps the most well-known case; more recently artists have actively solicited use of their music in advertisements and songs have gained popularity and sales after being used in advertisements. A famous case is Levi's company, which has used several one hit wonders in their advertisements (songs such as "Inside", "Spaceman", and "Flat Beat"). In 2010, research conducted by PRS for Music revealed that "Light & Day" by The Polyphonic Spree is the most performed song in UK TV advertising. There is speculation that television advertisements are threatened by digital video recorders as viewers choose not to watch them. However evidence from the UK shows that this is so far not the case. At the end of 2008 22 percent of UK households had a DTR. The majority of these households had Sky+ and data from these homes (collected via the SkyView panel of more than 33,000) shows that, once a household gets a DTR, they watch 17 percent more television. 82 percent of their viewing is to normal, linear, broadcast TV without fast-forwarding the ads. In the 18 percent of TV viewing that is time-shifted (i.e. not watched as live broadcast), viewers still watch 30 percent of the ads at normal speed. Overall, the extra viewing encouraged by owning a DTR results in viewers watching 2 percent more ads at normal speed than they did before the DTR was installed. Other forms of TV advertising include product placement advertising in the TV shows themselves. For example, Extreme Makeover: Home Edition advertises Sears, Kenmore, and Home Depot by specifically using products from these companies, and some sports events like the Sprint Cup of NASCAR are named after sponsors, and race cars are frequently covered in advertisements. Many major sporting venues in North America are named for commercial companies, dating back as far as Wrigley Field. Television programs delivered through new mediums such as streaming online video also bring different opportunities to the traditional methods of generating revenue from television advertising. Another type of advertisement shown increasingly, mostly for advertising TV shows on the same channel, is an ad overlay at the bottom of the TV screen, which blocks out some of the picture. "Banners", or "Logo Bugs", as they are called, are referred to by media companies as Secondary Events (2E). This is done in much the same way as a severe weather warning is done, only these happen more frequently. They may sometimes take up only 5 to 10 percent of the screen, but in the extreme, they can take up as much as 25 percent of the viewing area. Subtitles that are part of the program content can be completely obscured by banners. Some even make noise or move across the screen. One example is the 2E ads for Three Moons Over Milford, which was broadcast in the months before the TV show's premiere. A video taking up approximately 25 percent of the bottom-left portion of the screen would show a comet impacting into the moon with an accompanying explosion, during another television program. In 2007, Google Executive Chairman Eric Schmidt, then CEO, announced plans to enter the television advertising business, despite its lack of any internal video production or network placement capability or expertise. Initial industry speculation was that they would use a business strategy similar to their scheme for radio ad sales, primarily the acquisition of operations system support provider dMarc. Google announced the shutdown of its TV ads product in 2012. According to the Google corporate blog, Google abandoned its radio advertising sales feature and its radio advertisers in February 2009. Google sold its radio buying assets in August 2009. Google's radio effort was widely considered a failure, as was their foray into print advertising sales. These two traditional media schemes were among a number of Google's media and technology experiments, which have yielded mixed results. During the 2008-09 TV season, Fox experimented with a new strategy, which the network dubbed "Remote-Free TV". Episodes of Fringe and Dollhouse contained approximately ten minutes of advertisements, four to six minutes fewer than other hour-long programs. Fox stated that shorter commercial breaks keep viewers more engaged and improve brand recall for advertisers, as well as reducing channel surfing and fast-forwarding past the advertisements. However, the strategy was not as successful as the network had hoped and it is unclear whether it will be continued in the future. The growing popularity of the internet continues to draw audiences away from advertisers populating just the television platform. This page was last modified on 1 January 2016, at 09:11.